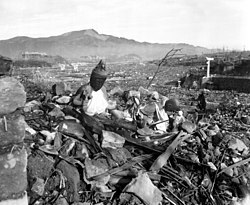 ^ （原文）"Bombed Nagasaki 090158Z visually with no fighter opposition and no flak. Results 'technically successful' but other factors involved make conference necessary before taking further steps. 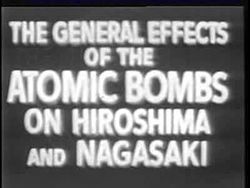 Visible effects about equal to Hiroshima. Trouble in airplane following delivery requires us to proceed to Okinawa. Fuel only to get to Okinawa." ^ Nishina, Y.; Yasaki, T.; Ezoe, H.; Kimura, K.; Ikawa, M. (06 Jul 1940). “Fission Products of Uranium produced by Fast Neutrons”. Nature 146: 24. doi:10.1038/146024a0. https://doi.org/10.1038/146024a0.